Create the perfect event. 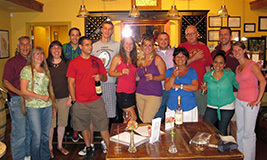 Use Perigeaux Vineyards for your wedding, anniversary, reunion, or birthday celebration. Let us help you craft the moment you’ll cherish for years to come. Celebrate in style at Perigeaux. Host your office party or birthday party at our Vineyards and Tasting Room and create picture-perfect moments with friends and family. Contact us today to reserve our venue. Reunite with high school or college friends in style. Reminisce with family near and far in a beautiful setting. Use our vineyard as a backdrop for family photos you’ll enjoy for generations. Enjoy beautiful views of our vineyards and manicured grounds for your special day. 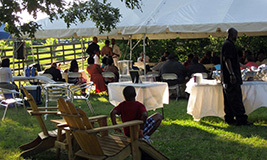 Perigeaux is perfect for your wedding, reception, bridal shower, or rehearsal dinner.